" I want to sell my ebooks and I want to prevent buyers from sharing my ebooks with others." The other solutions are hardware-locked keys and dongle protection. To access your ebook, your customer has to unlock it with an activation key that you give to him/her. The ebook will contact a server to validate the activation or not. This can be done by your server or with our Protect Ebook .net service. 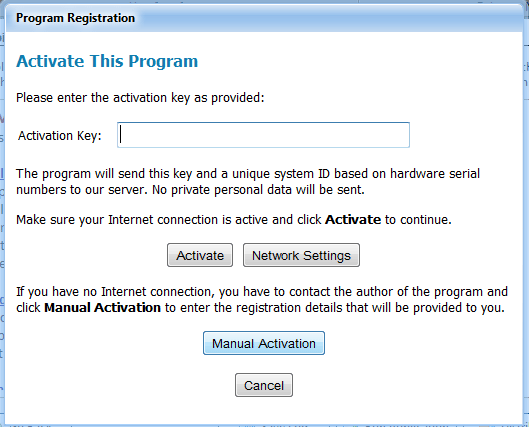 The activation process is easy and can be automated through the Internet, or Manual for end users who do not have a computer with an Internet connection. You can easily integrate e-vendors such as PayPal, E-junkie, FastSpring: deliver ebooks and keys to customers by email immediately after successful orders. ⇒ With online activation, your ebooks cannot be shared. For advanced users, we provide the activation kit that allows you to install required files on your server and turn it into an activation server. Everything is easy and intuitive. You do not have to deal with PHP, server maintenance and installation, databases. Everything is automated for less than 1 USD per day! When creating your user's account, you determine how many activations you want to allow him/her, which means the number of computers on which he/she can run your ebook. The activation server tracks the number of times your ebook is activated. Once activations have all been used, the ebook will display an error message if someone tries to run it. You can block users by turning their number of authorized activations to 0, or by configuring your ebook to check the key's validity regularly (see below). A customer who has already activated your ebook and who wants refund, or who wants to move his registered publication or ebook to another computer will have to deactivate his certificate. When deactivating, the ebook creates a unique uninstall confirmation code that you can check in Protect Ebook .net or with your activation kit. restrict the time a user may access your ebook. 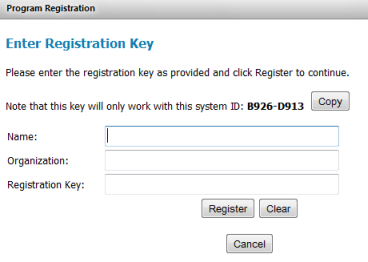 How to configure my ebook to use online activation? 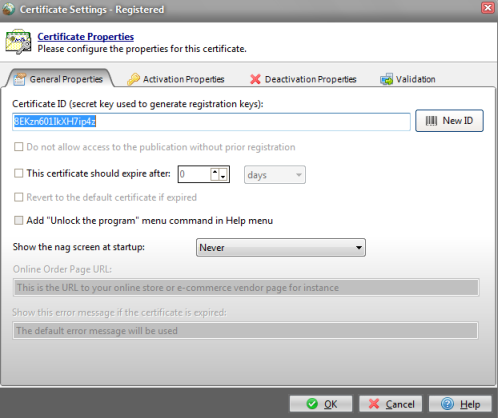 Double-click on « Registered » in the list of certificates. Choose the « Activation Properties » tab, and select Online Activation in the combo box. 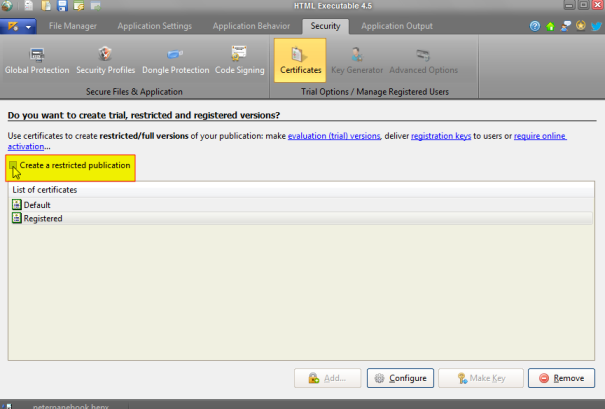 You can offer a trial version if you wish. If your customer does not have a valid activation key, he will never be able to access to the registered version. It works as for hardware-locked keys. Your customer sends you his system ID, and you can generate his key with the activation kit or with Protect Ebook .net and send him.